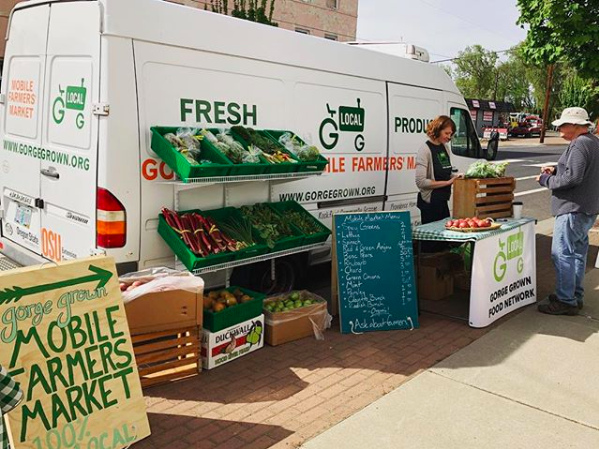 The Gorge Grown Mobile Farmers Market brings 100% locally grown fruit and vegetables to communities throughout the Gorge. 2019 Mobile Market Schedule Coming Soon! For more information on the Mobile Market contact kiara@gorgegrown.com or call 541-490-6420.